As if Wednesday's descent on Houston Chancery by the civil authorities wasn't enough on its own, only later did it emerge that, at the very same time, things were likewise brewing across the other side of Texas. 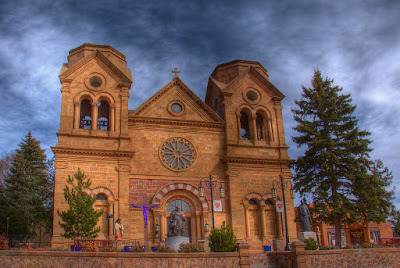 While the 12-hour search of the headquarters of the US' sixth-largest diocese – which, it's since become known, involved Federal agents alongside state Rangers and county-level law enforcement – dominated the headlines, reports from New Mexico subsequently brought word of a similar warrant served on the archdiocese of Santa Fe amid a previously announced statewide probe, one of the 15 currently underway across the country. According to the local New Mexican, the seizure of files was ordered by state Attorney General Hector Balderas due to "a disagreement over a layer of confidentiality that covers certain documents investigators are seeking," which the AG claimed would inhibit the investigation were the records to remain sealed. In addition, the prosecutor alleged that church officials had missed his deadline to voluntarily provide the documents. Fresh from that development, however, this afternoon saw a second shoe drop for the 330,000-member church, as Archbishop John Wester announced the archdiocese's intention to file for Chapter 11 reorganization, citing a combination of "diminished resources" and the expectation of more litigation ahead. 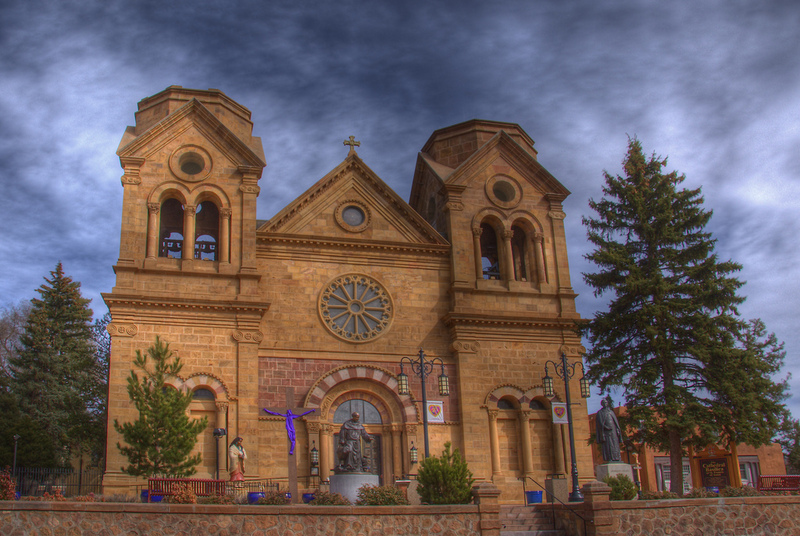 With its plan set to be formalized next week, Santa Fe becomes the 17th US diocese to declare bankruptcy upon a wave of abuse suits – a figure that now brings the proportion of the nation's local churches which've taken that step to just under 10 percent. Yet far more significantly, the New Mexico process would be the first diocesan Chapter 11 case to occur alongside a full civil inquest of abuse and its cover-up, both proceedings likely to wend on for years. At a press conference following today's emergency meeting of his presbyterate, Wester said that the archdiocese faced 35 open lawsuits – five of them brought in recent weeks once the bankruptcy decision had been made, according to local reports. On a broader front, meanwhile, the double-whammy of the raid and a reorganization is but the latest rough turn for one of the US' most tormented venues over the long history of the abuse crisis; a diocese that's undergone a full quarter-century of tumult, beginning from the 1993 resignation of Archbishop Robert Sanchez upon revelations of the prelate's misconduct with three teenage girls. As previously noted, the confluence of the rapid spread of civil investigations and a new cycle of legal claims – the latter aided by emboldened calls for state-level "window" legislation that would suspend the statute of limitations on filing suits – all portend another long, costly slog for the US church: one that, by its end, could exact an even bigger financial toll than the crisis' first nationwide outbreak in 2002. With the majority of the nation's state legislatures set to convene for new sessions in January, the ongoing wake of the landmark Pennsylvania report – and a political environment that's only recently seen "taking on the church" become palatable or, indeed, even desirable across the partisan divide – is likely to bring another round of scandal-related civil proposals to enforce accountability and/or liability all across the map. Though most diocesan bankruptcy filings have ended up with smaller settlement amounts than had Chapter 11 not been filed, the largest such deal by far was reached earlier this year – the $210 million June payout from the archdiocese of St Paul and Minneapolis to resolve the cases brought by 450 victim-survivors, now the second-biggest settlement made by the US church.